(Also, feel free to read my 2005 post about my hockey player cousin, Sidney Crosby whose great-grandfather, Gregory, is in this photo.) William E. McCarron would be my great-grandfather, and Gregory would be my great-grand uncle. 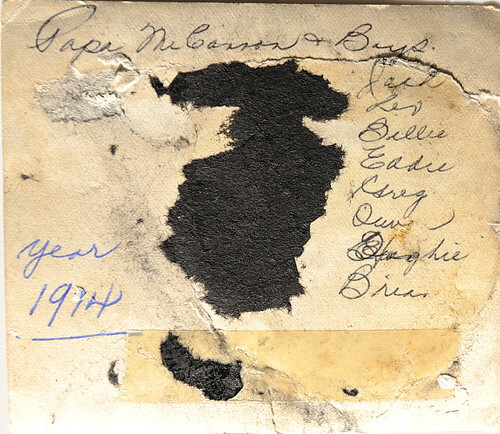 William E. McCarron, is the "Papa" in the above photo. This is so cool. 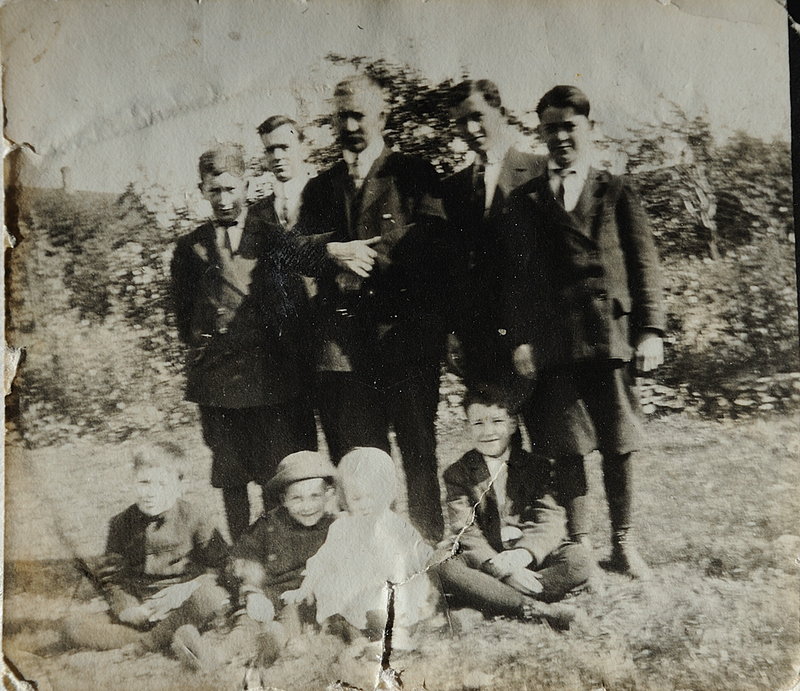 My son was looking for information for school on his family history and there is his greatgrandfather Jack McCarron in a picture. We had heard about a connection with the great hockey player Crosby. Feel free to email with your family details, Anonymous! A fantastic photo - my grandfather was Leo.